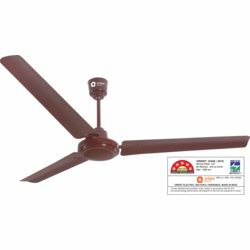 If you are on the hunt for a high performance, energy efficient ceiling fan, the new Orient Electric Ecotech ceiling fan is just what you have been waiting for. 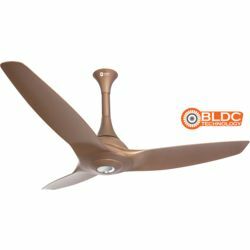 The aesthetically pleasing Ecotech energy saving ceiling fan pack a punch when it comes to specifications. It exploits the advanced BLDC (Brushless Direct Motor Current) technology and provide a significant 50 percent reduction in power consumption. 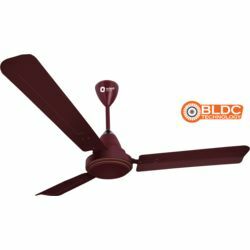 When compared with the ordinary ceiling fans that consume 70W of electricity, the innovative Ecotech fan runs on 32 watts, thereby setting a new benchmark in this segment. It comes complete with 5 Speed remote, 4-step timer control, and a unique sensor-less design that accounts for constant speed and noiseless operation even at low voltages of up to 140V. Available in a choice of three enticing colours – white, brown and ivory – the Orient Electric Electric Ecotech fan features aerodynamic blades that ensure maximum air delivery across the room. 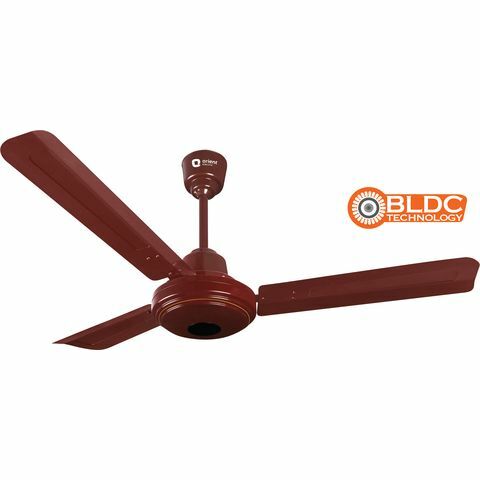 If you are on the hunt for a high performance, energy efficient ceiling fan, the new Orient Electric Ecotech ceiling fan is just what you have been waiting for. 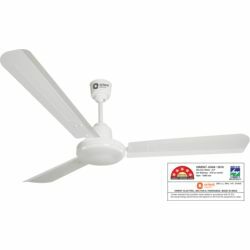 The aesthetically pleasing Ecotech energy saving ceiling fan pack a punch when it comes to specifications. It exploits the advanced BLDC (Brushless Direct Motor Current) technology and provide a significant 50 percent reduction in power consumption. When compared with the ordinary ceiling fans that consume 70W of electricity, the innovative Ecotech fan runs on 32 watts, thereby setting a new benchmark in this segment. It comes complete with 5 Speed remote, 4-step timer control, and a unique sensor-less design that accounts for constant speed and noiseless operation even at low voltages of up to 140V. Available in a choice of three enticing colours – white, brown and ivory – the Orient Electric Electric Ecotech fan features aerodynamic blades that ensure maximum air delivery across the room. Much better that superfan in terms of build quality and air delivery. I think worth the extra price.